Oklahoma Families First SWIFT adoption program is a contractual service between OFFI and the Oklahoma Department of Human Services to prepare the paperwork needed to complete the full medical disclosure required for the adoption of a child. Through this program, Oklahoma Families First is proud to have been involved in the adoption of thousands of Oklahoma youth by qualified adoptive parents. 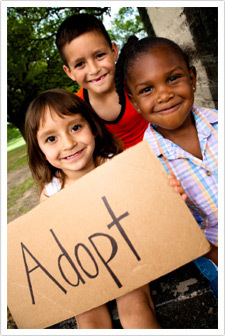 If you, or someone you know, is interested in adopting a child, please contact your nearest Oklahoma Department of Human Services office for more information.